In an attempt to keep this blog as politically neutral as possible, I'm going to pretend I like both candidates equally. 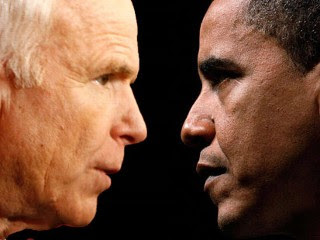 First, let's analyze McCain's ad. A good chunk, 25 seconds out of 30, was used to talk about Obama in a negative manner. I don't like mud slinging. Root for your own team, don't bash the opponent. Otherwise, sneaking in footage of Britney and Paris was a goofy insert and I have to applaud them for that. Half of Obama's retort was defending himself by using several respectable news sources as claims for the "attacks" on him by McCain being untrue. Props must also be awarded for using the word "baloney". The tail end of Obama's ad is filled with positive information about himself. This ad takes a very defensive stance. So who wins this titan-clashing duel of political persuasion? You'll just have to wait until November to find out. My prediction is that it will end in knockout. I'm the TV Ad Guru, and I approve this message. Visa, the only credit card accepted at the Olympic games, has launched a series of ads with voice overs from Morgan Freeman! Hey, if he can make a documentary about penguins a success, attracting viewers to the controversial Beijing summer games should be a piece of cake. Derek Redmond - The music really helps to make this an emotional ad. It's truly amazing when a commercial has the power to make your eyes water in a mere 30 seconds. Sorry about the video quality. Bob Beamon - I like the way Bob looks as he's flying through the air... And that record is just insane. Michael Phelps - Probably the most beloved American swimmer. Personally, he lost my faith when he got a DUI in 2004. But I like this one because it looks like he's swimming in beer! Kerri Strug - In my opinion, she could have stuck the landing a tad better. Nastia Liukin - Okay, this one is just lame. In these ads, New Balance takes a literal translation of their brand name. The balance they refer to is the love/hate relationship that people share with running. The clever part about it is that they personify "running" and give it a role in your life. BBDO New York is responsible for the campaign. "You were in a relationship with running. A love/hate relationship. Running kicks you out of a warm cozy bed and into a cold hard world. Running calls you at all hours of the night. Running gets you up at the crack of dawn and keeps you at practice long after play has left the building. Every day with running is a question of your commitment. And running’s not afraid to ask. Yes, my friend it is a complex and torrid affair. It is a constant balance... a balance between joy and pain, work and play, a balance between love and hate. Everything we do is geared toward tipping the balance. 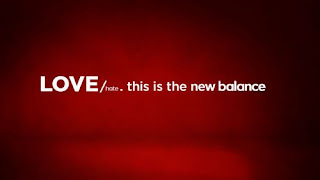 This is the new balance." For runners, much of this hits very close to home. I think these ads will be effective in terms of generating sales because they have a very inclusive tone to them, almost as if being in a love/hate relationship with running is like being in an exclusive club of some sort. People will flock to the idea of sharing this unique relationship (love) because it is not a very difficult thing to do- until they realize how much commitment it really takes (hate). These ads will persuade people to go out and buy themselves a pair of NewBies and to set their clocks early, leaving time for a morning run. They'll feel healthy, productive, and overall satisfied (love) until they get athlete's foot and start falling asleep at work (hate). But by then you've already spent the money and bought the shoes. The new balance? The one in your checkbook. I've always been a fan of Corona's laid back commercials. Here's a few I could get my hands on that are guaranteed to bring out the apathetic hedonist beach comber in you. I love me some Apple commercials. They usually take a simple but original approach and keep putting a new touch on it until the next line of product roles out and the cycle starts anew. 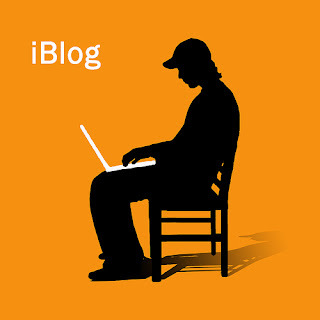 The iPod franchise has seen several silhouette-on-color ads, constantly transforming into something flashier and more appealing to the masses. The same principle is true for their computer ads. Think about it, how many times have you seen Mac diss PC over his lack of artsy software? Unaware of what I was witnessing as I no doubt waited for some filthy reality show to come back on, the claim of "the first phone to beat the iPhone" really caught my attention. The style of the commercial resembled something along the lines of Verizon or T-Mobile. I was eager to find out what phone could possibly trump the holy grail of cellular devices, only to discover that it had been an Apple commercial in disguise. Once the device emerged from its futuristic cradle and exposed itself to breathless tech geeks across the world, I realized that I had been fooled. A new iPhone. It's one of those commercials that catches you the first time you see it, and sometimes that's enough. Unfortunately, even the best advertising in the world can't convince me to crank out hundred dollar monthly service plans. Apple has released three more iPhone 3G ads that follow the more familiar structure: white background, upbeat music, flawless technology, and a friendly voiceover. Simple. Brilliant? I'll let you decide. Geico Commercial features Mrs. Butterworth! Geico has achieved advertising feats in the past with their 15 minutes or less, caveman, and gecko campaigns, and it looks as though they're about to take the cake once again by using product placement in -- a TV ad? Never before have I seen a product advertised in conjunction with a completely unrelated service. Responsible for the ad is the well versed Martin Agency, who have kicked the advertising game up a notch. Again. Last year, ABC execs thought The Martin Agency's Geico caveman commercials were so funny that they warranted a prime time comedy show. Even though the sitcom was canceled due to dismal ratings, it was still the first time any commercial had been turned into a TV show. "In 1961, I made my TV debut. Frankly, I was nervous. I wanted to delight children with my tasty syrup, but I didn't know how." Hmm... perhaps sticky Sally, still nervous about her television appearances, figured piggybacking on Geico's advertising victories could score her one against Aunt Jemima. A smart move indeed. "Also, look for my starring role in the feature film "Food Fight." coming soon!" Wow, that was a shameless plug if I've ever seen one. It's a good thing you're so thick, rich, and sweet! "Big Tobacco" death-plotters have come up with a new plan to get teens off cigarettes: The Sunny Side of Truth Campaign. So far four wacky spots have been aired, all featuring magical cartoon creatures. What most people don't know is that The American Legacy Foundation funds the Truth campaign with, ironically, money they get from Tobacco companies. The commercials all employ sarcasm to the sickest degree- by looking at the brighter side of cigarettes and their effects. For example, tobacco companies put just enough nicotine in their products to get you addicted. This "magical amount" won't hurt you, but it is enough to turn you into a full time smoker. Other glass-half-full accounts include smokers having smaller babies (which some find attractive) and building strong character thanks to experiencing death of a loved one. Another looks at the fact that 5,000,000 people per year die from tobacco products and claims that it must have been a typo (a typo, a typo). What they're trying to do is make young people realize how harmful cigarettes actually are, and that it's stupid to think that tobacco companies are doing anything but killing you softly. What they're actually doing is putting something serious in a light and fun atmosphere that is often misinterpreted. Most teens know that smoking is bad, but that doesn't mean it's still not cool to them. It seems as though these catchy musical jingles will just give tobacco users something to whistle on their smoke break. You have to give the Truthers some credit though. Anti-smoking campaigns usually consist of solemn and dark skits and examples. Atleast they're trying a new angle. By the way, I'm not a big supporter of these sorts of commercials. To me it's just like McDonald's customers getting mad at the restaurant because they got fat from eating their food. We live in a free enterprise, it's your choice to use the products that are sold. Don't blame other people or companies for your lack of judgement. It seems as though nobody wants to take responsibility for their own consumer decisions.